Haunting your house since time immemorial. When I was a kid, I watched every cheesy 1950’s horror movie broadcast in the New York City area. Some of them gave me a mild chill while others scared the living crap out of me. One of them, Fiend Without a Face, fed my nightmares for years. It was about malevolent aliens composed of human brains and spinal cords who were rendered invisible by radioactivity. To this day I try to avoid disembodied nervous systems. But of all the aliens, monsters, vampires and zombies, the movies that struck me to my core were ghost stories. Why? Ghosts don’t have fangs or claws. They rarely even physically harm anyone. But they stir a primal fear in us. Their mere appearance drives us into paroxysms of horror. 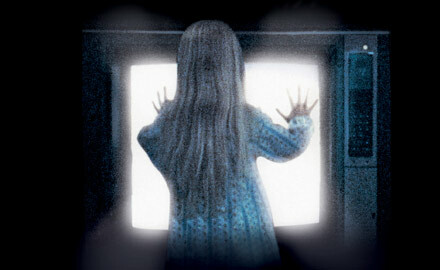 Ghost stories evolved in the modern era, with Tobe Hooper’s Poltergeist becoming the high water mark in the genre. Now in full color with full gore, we had connected our historical fascination of ghosts with scientific certainty. Kooks and crackpots exalted and filled bookshelves with ridiculous claims and silly narratives (many of which were read by young library visitors in New Jersey) . Having matured into a Man of Science, I reject all those silly theories and spine-chilling stories. Yet somehow, I still maintain a nagging fear when I convince myself that somewhere in the darkness a phantasm awaits. Why is this? I returned to my library books of yore and discovered something quite profound: ghosts are the inevitable manifestation of our warmth for nostalgia. They are the impossible past leaping forward to invade our present. They are deeply personal reflections of our foibles and regrets. This is far more terrifying than the external threat of tooth and claw. 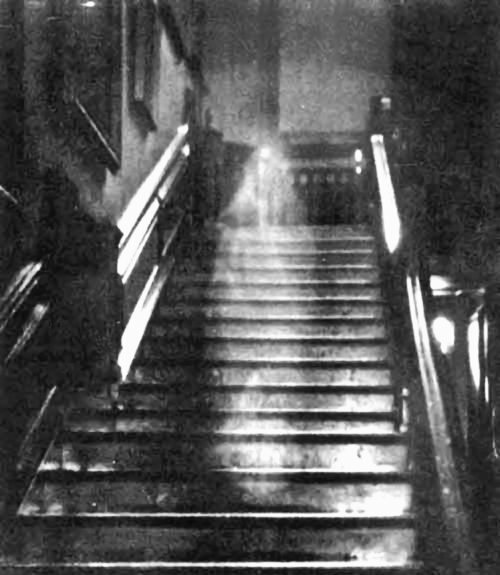 Let’s look back on the history of ghosts, then we’ll wrap it up with some observations about modern ghost stories. 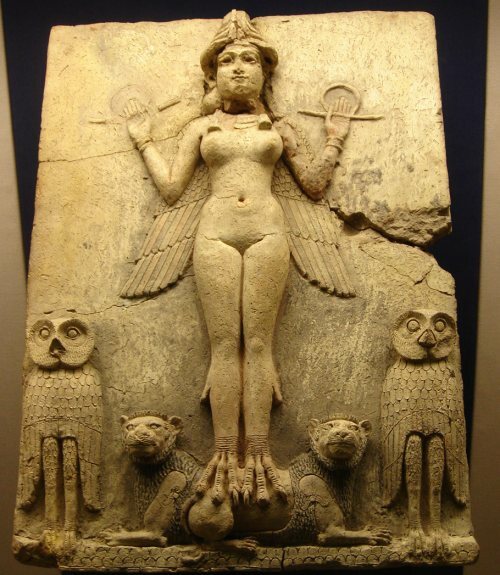 Ancient Babylonians had some serious ghost problems. Ancient Mesopotamia and Egypt had ghosts galore. The spirits of the Dead sometimes languished among the Living and affected their lives. Back then, ghosts weren’t very malevolent. The Roman writer Cicero told the story of Simonides, who buried a stranger’s body he had chanced upon. To return the favor of a proper burial, the dead man’s ghost appeared before Simonides and warned him not to board a ship he was scheduled to sail upon. Simonides took the ghost’s advice and that ship later sank at sea. Thanks, Mr. Ghost! Pliny the Younger maintained the “unburied dead” concept when he wrote about a house in Athens haunted by a ghost who terrorized the homeowners until a chained skeleton was located beneath the house and properly buried. Ghosts regularly appeared in Homer’s epics, appearing with spine-shivering regularity and delivering warnings that our heroes would ignore at their peril. The Christian era buried the Pagan Gods but retained the myth of ghosts. 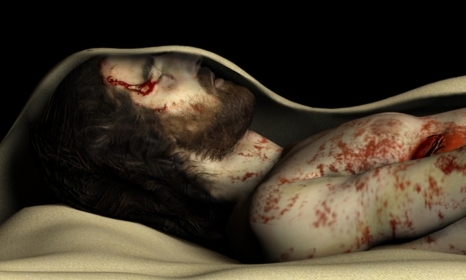 On the third day after Christ’s interment, the stone was rolled away and Jesus walked out in his burial shroud. His followers immediately freaked out. It’s a ghost! It took some convincing from the risen Christ to convince them he was not a malingering phantom but actually a supernatural manifestation of God, leaving now to take a seat at the right hand of the Father. Phew! Glad that all got sorted out! The Roman Catholic church taught that the spirits of the Dead ascended to Heaven, fell into Hell or were held in indefinite limbo in Purgatory. There was no canon for disembodied spirits to walk the Earth, so the Church assumed any such apparition was surely a demon. 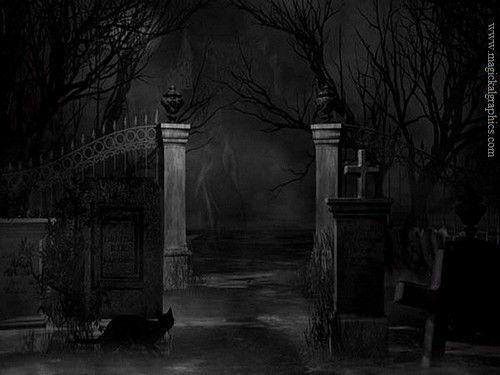 And thus began the Western tradition of ghosts as malevolent monsters, usually in league with witches. They caused crops to fail and damned villages. This led to some rather unsavory public policies among European and American societies. Thousands of men and women were burned alive in the quest to stamp out the effects of demonic spirits. But the ghosts that haunted my dreams were those popularized in the Victorian era. They terrorized us without engaging in murder or slaughter. Their very appearance was their stock in trade: “Malevolence and terror, the glare of evil faces, the stony grin of unearthly malice.” They caused such fear that otherwise sane individuals would go utterly mad and require incarceration in an asylum. Edgar Allen Poe became the poet laureate of the spectral apparition. With Gothic pen in hand, he scribbled stories of vengeful spirits haunting the nights of the Living, marking their lives with reproach and guilt. Once again, these phantasms didn’t attack our protagonists with murderous rage. 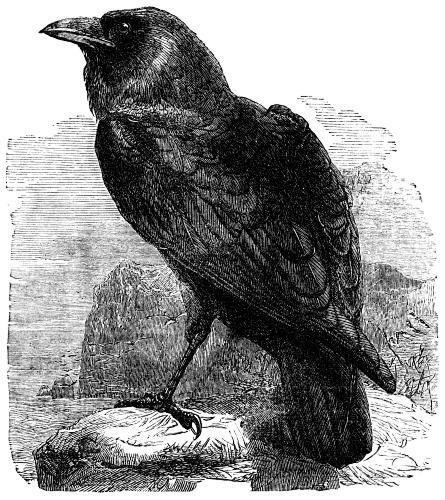 Instead, Poe used vivid descriptions of defiled corpses and eldritch estates to invoke a sense of dread. The ghosts were the inevitable manifestations of our uncertainty about shadows flickering down the hall and odd bumps in the night. The Divine Edgar knew what struck fear in the hearts of the Victorians and he exploited it for all it was worth. Throughout the Victorian and Edwardian eras, writers continued frightening readers with tales of lurid pasts coming awake to haunt us. From Lord Dunsany to HP Lovecraft, the spectral world was forever reaping the harvest that foolish men had sown. Cashing in on the craze. Of course, it wasn’t just Victorian writers making a living from the Dead. 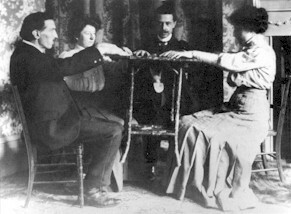 An entire industry of “spirit mediums” sprang up, promising to bridge the gap between fictional ghost stories and our everyday lives. For a fee, of course. These charlatans and delusional eccentrics understood the effect of ghosts on the primal consciousness of the average citizen as well as Poe did. The cultural descendents of these con artists continue to operate today. Yet somehow the lore of the ghost has fallen out of favor in modern times, replaced with rotting zombies and vampires who go to high school. The “Poltergeist” and “Amityville” films renewed the ghost myth in popular culture, but even the laudable “Ring” films were a drop in the bucket of blockbuster werewolf, vampire and zombie outings. A recent series of laughably stupid television programs and “Paranormal” ghost movies continue to exploit our preternatural fear of ghosts, but modern viewers want blood and guts, not bumps in the night. Modern horror films are less cerebral. We can attribute this to our truncated attention spans and less-than-introspective lifestyles. If a spy film has no car chase, Hollywood won’t back it. 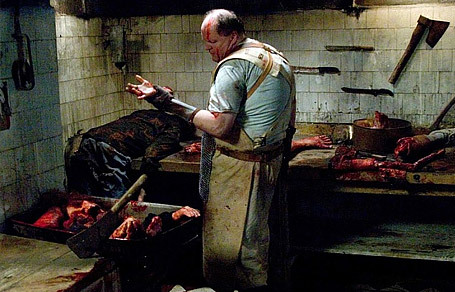 If a horror film has no gore in it, independent studios won’t back it. The days of Vincent Price raising a sharp eyebrow as a clinking noise echoes through a Bavarian castle are long gone. We aren’t calling out to find a person. We are calling out to dispel a ghost. Whether we are successful or not – that is the question. Because if we are not, then we will certainly be faced with a spectral mirage of someone long dead. It may not physically harm us, but it cannot be killed and it cannot be wished away. It has an agenda. And it has nothing to fear, while we have everything to fear.